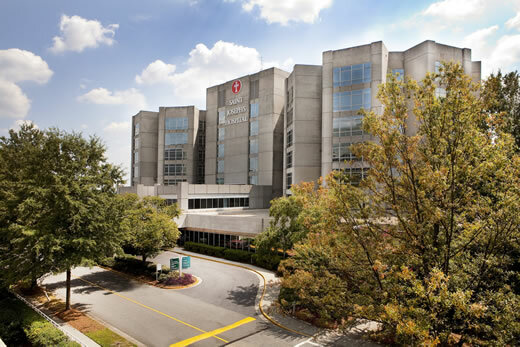 Emory Saint Joseph's Hospital has received the American College of Cardiology Foundation's NCDR ACTION Registry-GWTG Platinum Performance Achievement Award – one of only 164 hospitals nationwide to do so. The award recognizes Emory Saint Joseph's commitment and success in implementing a higher standard of care for heart attack patients, and signifies that Emory Saint Joseph's has reached an aggressive goal of treating these patients to standard levels of care as outlined by the American College of Cardiology/American Heart Association clinical guidelines and recommendations. To receive the ACTION Registry–GWTG Platinum Performance Achievement Award, Providence consistently followed the treatment guidelines in the ACTION Registry–GWTG Premier for eight consecutive quarters and met a performance standard of 90 percent for specific performance measures. Following these treatment guidelines improves adherence to ACC/AHA Clinical Guideline recommendations, monitors drug safety and the overall quality of care provided to ST-elevation myocardial infarction (STEMI) and non- ST- elevation myocardial infarction patients (NSTEMI). "Emory Saint Joseph's is dedicated to improving the quality of cardiovascular care for our high-risk patients, and this award reflects our commitment to offering appropriate and rapid treatment for heart problems," says George Chang, MD, of the Emory Heart and Vascular Institute.